The rapid emergence of the ICT (Information Communication and Technology) industry gives the high quality services and products to the customers. Effective execution of TQM (Total Quality Management) and IT (Information Technology) together brings many profits in the Indian ICT industry. However, many industries fail to adopt TQM and IT together. Hence a deeper assessment of TQM enablers and IT resources in the Indian ICT industry is warrented. In this context, DEMATEL (Decision Making Trail and Evaluation Laboratory) method examines the most important TQM enablers and IT resources to enable them to successfully implemented in the Indian ICT industry. The objectives of this study are to identify and analyze TQM enablers and IT resources as well as to evaluate their prominence and relation factors using the DEMATEL methodology. The managerial implication of this study is that managers can get the maximum benefits of available enablers and resources. The limitation, future scope, discussion and conclusion are discussed at the end. The competitive business environment has forced industries to seek solutions to a long-time stick in the market. Recently, many organizations began taking attempts to adopt management practices that improve the efficiency and performance of their organization. TQM (Total Quality Management) is a managerial approach that improves the organizational performance through the enhancement of quality of products and services. Also, TQM is a comprehensive approach that obtains all organizational functions to focus on customer requirements and organizational objectives with the help of improvement of quality, productivity and competitiveness. For the last few decades, TQM has achieved great attention from practitioners and academicians. Talib (2013) found that TQM aims to achieve the effectiveness of the system such as design, planning, production, customer satisfaction, and quality tools and techniques involvement. TQM has turned into a major business strategy to broadly implement the TQM program throughout the world (Claver et al., 2003; Chang, 2006). TQM advocates many benefits for the organization for example increased productivity and quality, reduced cost of poor quality, increased employee involvement, improved communication and competitive advantages of the organization. Talib et al., (2011) explore that TQM is not just a management tool, but a culture of an organization committed to total customer satisfaction through CQI (Continuous Quality Improvement). In other words, TQM philosophy highlights the role of internal and external customers and suppliers to gain this continuous improvement by active involvement of employees in the business market (Chang, 2006). IT (Information Technology) was introduced in combination with TQM to increase competitive challenges in the market. When TQM and IT are combined with each other both social and technical dimension aim to achieve excellence in results (Khanam et al., 2013). TQM has yet to make serious penetration which is apparently shown in the ICT sector. These days, IT is increasing the importance of organization which widely affects global trading of organization. It is often argued that IT is quickly turning into the most essential factor for improving productivity and reducing cost. Extensive research exists on TQM but this study has introduced TQM with information technology to get attention towards quality program and eventually satisfy the consumer-supplier relationships. In the past, studies on TQM were successfully implemented in the industries. Meanwhile, when industries need to collect a large amount of data and statistically analyze them a major issue was created with the implementation of TQM arises. IT was introduced with TQM because practitioners faced problems in the involvement of large values of data. Practitioners observed that if properly planned, IT will enhance the application of TQM in the organization. According to Au and Choi (1999) IT is concerned with the routine tasks of data input, computation, measurement and output. The user can concentrate their efforts on fulfilling the more important objective of ‘quality improvement’. When TQM and IT are applied together properly, they have the potential to help an organization to attain new levels of competitive strength (Talib et al., 2013 a). 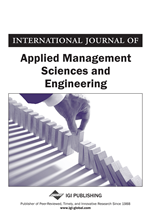 Wai et al., (2011) investigate the usage of IT to support the various quality management processes through the empirical analysis. TQM is an integrated approach that continuously improves the quality of performance while IT supplies the technical knowledge that supports quality experts and both are frequently used to fulfill customer requirements (Khanam et al., 2014). TQM and technology are fast becoming essential features of business strategy for the success of many leading organizations in the world (Brah and Lim; 2006). IT and TQM have significantly impacted on most organizations and each has been widely researched (Dewhurst et al., 2003; Martinez-Lorente et al., 2004; Tiwari and Chaudhari, 2012). Ang et al., (2001) has empirically explored the use of IT to support TQM processes in the Malaysian public sector. IT has been a support to TQM in order to identify the role of IT in implementing TQM (Siam et al., 2012). Khanam et al., (2014 a) provides practical understanding of TQM enablers and IT resources and their applicability gives better business performance which will improve the economy of the market.